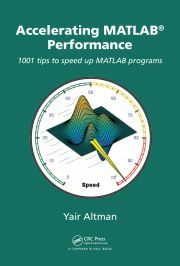 Performance aspects of Matlab class object creation are discussed, with specific suggestions. Plotly charts can be created and customized in Matlab. The built-in sprintfc function can be used to quickly generate a cell-array of formatted strings. Handle object property access (get/set) performance can be significantly improved using dot-notation. Matlab’s listbox layout can be modified to display multiple item columns and different inter-cell margins. Matlab’s fprintf command has an undocumented hack to display orange-colored text.